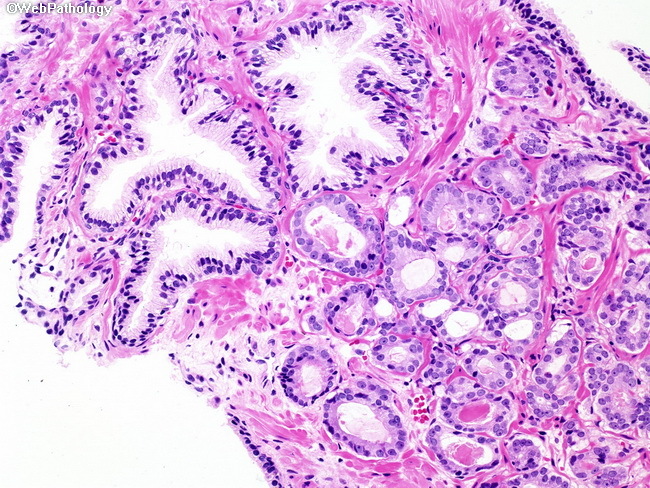 The benign glands at the upper left have complex branching lumens with papillary infoldings. The focus of cancer to the right is composed of numerous small glands with simplified round or oval lumens. The glands are arranged back-to-back with little intervening stroma.